I generally work on larger projects, such as the Advanced Equities Plaza downtown and the Pinnacle Medical Plaza in Scripps Ranch. However, I also greatly enjoy helping my smaller clients start and grow their projects and businesses. My practice focuses on commercial real estate transactions, including real property acquisitions, dispositions and development, title matters, and real estate finance (representing both borrowers and lenders). I represent landlords and tenants in leasing commercial, industrial and retail premises. I also represent developers and owners in the negotiation and preparation of construction contracts. I have acted as counsel in the formation of over 100 general and limited partnerships, corporations and limited liability companies. My client base is diverse, including large corporate developers, single-property investors, and business owners both large and small. Representative projects include hundreds of millions of dollars in condominium projects, office buildings, shopping centers, mixed-use projects and industrial developments. I am a member of the San Diego County Bar Association and the District of Columbia Bar Association, as well as the California State Bar, the American Bar Association, the Building Industry Association and the Thomas Jefferson Alumni Association. 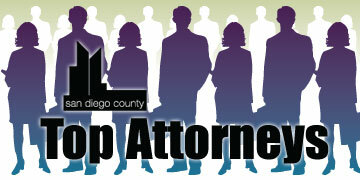 I am a registered mentor in TJSL’s mentor program for young attorneys and I serve on the Urban Design and Planning Committee of the Downtown San Diego Partnership. 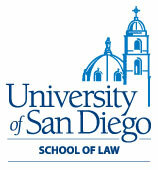 I was born and raised in St. Louis, Missouri; I came to San Diego for law school and never left. I love to cook, bake and travel, and in my spare time I have fostered rescue dogs for Baja Animal Sanctuary and Coastal German Shepard Rescue. I live in Hillcrest and enjoy getting involved in my neighborhood’s many events and patronizing our wonderful local businesses.